This is my master thesis project. It’s a software to create and simulate finite state automatons by means of the states graph. 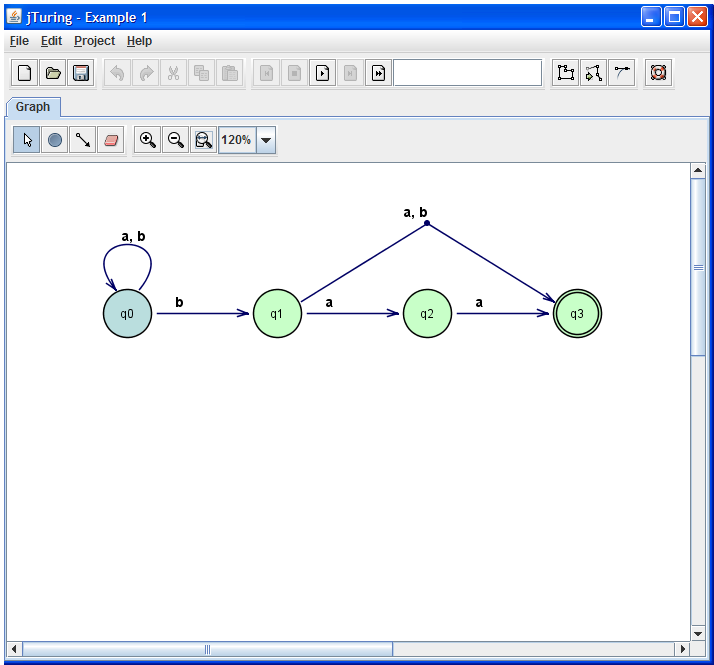 You can also convert it to the relative grammar or use automatic layout facilities to draw the graph.